Every fall since becoming a mother, I’ve continued a tradition that my mother started when my brother and I were small children. We bake treats, we dress up in Halloween costumes, and we surprise family and friends with a visit at their home or work. Every year, close to Halloween, Theo helps me prepare a treat and together, Theo, Oliver, and I dress up for Halloween and deliver the treats to family and friends. It is absolutely the most fun tradition we have and I look forward to it every year. I’m a huge fan of Valentines Day. Save your eye rolling and snarky “its a Hallmark holiday” comments for someone else, Daria, because this girl doesn’t want to hear it. What were we mom? Hobos? Scarecrows? 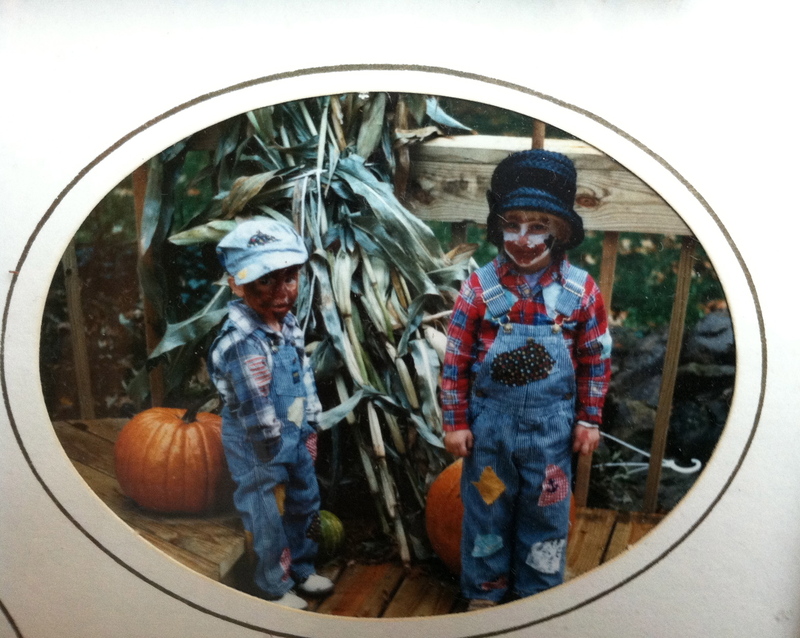 When my brother and I were little, my mom used to dress us up each fall and take us around to family to deliver fun treats like cookies or mini pumpkins, and to show off our cuteness. I have the best memories of these visits. Guys, we seriously have a duck living in our yard!